Showing results for tags 'felt'. This picture is close up fragment of nice felt bag made by Uta Zeller‎ . Big photo perfectly conveys al smallest details of this work piece including softness of fleece. Furthermore it gives us possibility to examine embroidery sample carefully. 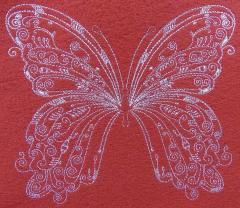 It is Vintage butterfly free machine embroidery design. Complex composition making with just one color looks very elegant and light. It is real highlight of this bag. 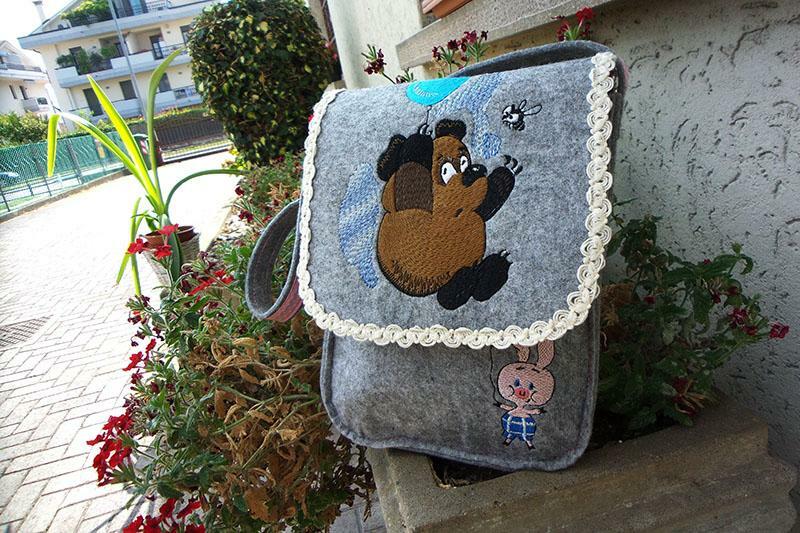 This is original and stylish felt bag made by Uta Zeller‎ which will definitely attract much attention. It has quite easy and strict form which underlines small details making it really unique work piece. One of them is interesting lining with print of city views. 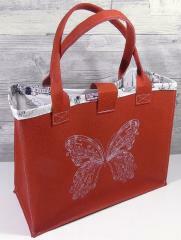 Other is Vintage butterfly free machine embroidery design used for decoration of front side. Color contrast is final element of this well elaborated composition.